Looking for a fab family day out? Brooklands Museum has plenty to inspire kids (and grown-ups too!). Fast cars and speedy planes – it sounds like the perfect day out for any transport-mad little boy. But put those gender stereotypes aside right now. I took my 11-year-old daughter to Brooklands Museum and she loved it. In fact, so inspired was she by the aircraft at Brooklands, that she declared over lunch that she was going to be a pilot when she grows up. Brooklands is on the site of the world’s first ever purpose-built motor racing circuit, and was also a major centre for aircraft design, construction and flight testing throughout most of the 20th century. It’s also the home of Concorde, and the London Bus Museum is also on the site. So you see – it really is a transport mecca and there’s a lot to see. 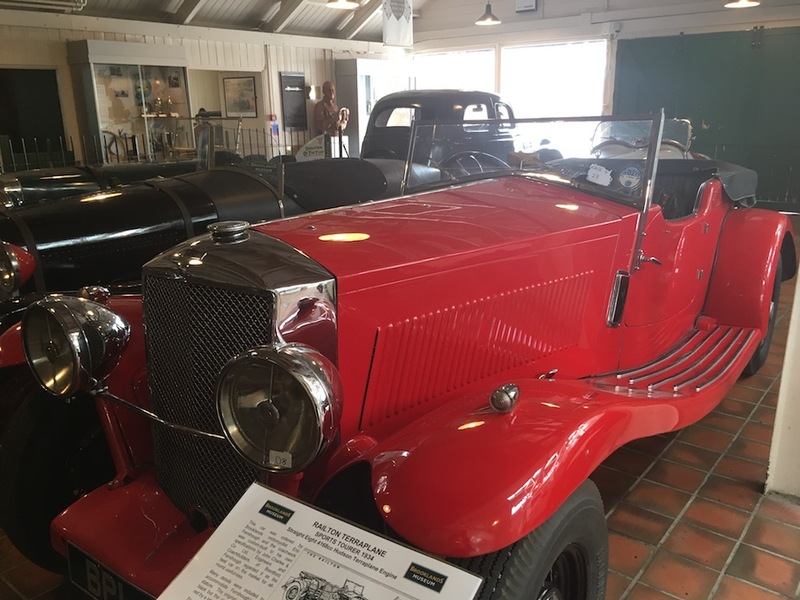 We visited Brooklands Museum during the May half-term, and in addition to the usual things to see and do, there were also some half-term specials. 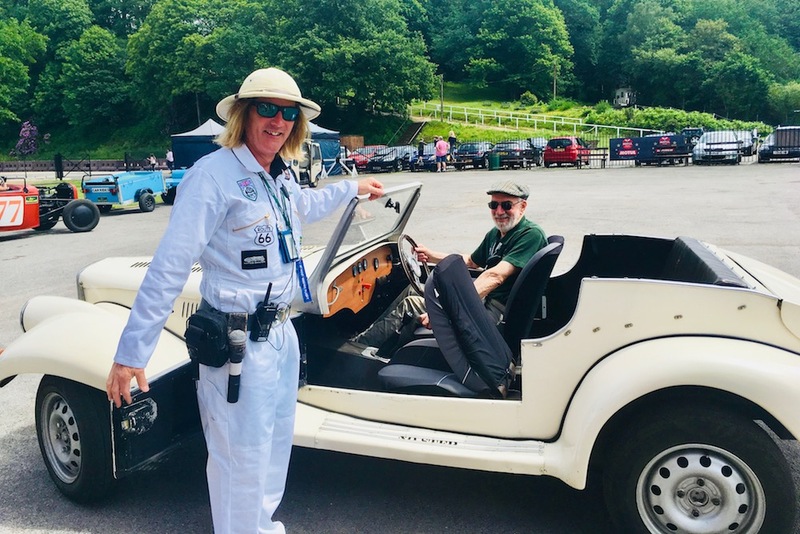 One of the highlights was getting to race in a vintage-style car up Test Hill and along part of the original race track. When the track was built Hugh Locke King on his estate in 1906 he was keen for the race cars to be given the best chance to achieve the highest possible speeds – and so the track included two huge banked sections, both nearly 30ft high. There’s a real sense of history at Brooklands – from The Clubhouse’s first-story balcony to the ladies’-only reading room (named The Barbara Cartland Room after the famous author who was a big racing fan), and it’s easy to see the high society motor racing fans of the day milling about with a martini in hand. It’s not all about the cars at Brooklands. 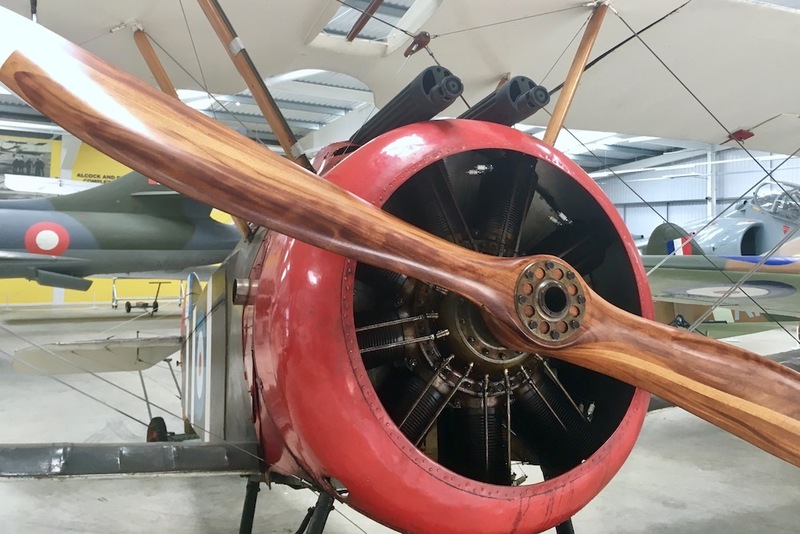 A £6.2m refurbishment last year resulted in the brand new WW2 aircraft hangar – called the Brooklands Aircraft Factory – which houses the museum’s aircraft collection. It leads onto the Flight Shed, which is also new, and is home to more aeroplanes. You’ll also find interesting interactive displays in here, which my daughter really enjoyed. But the highlight among the winged vehicles, undoubtedly goes to the sleek Concorde, the first aircraft ever to carry 100 passengers at twice the speed of sound. The Concorde Experience will take you on a tour of this iconic plane, and give you some of its supersonic history. You’ll leave feeling really sad that it no longer flies. 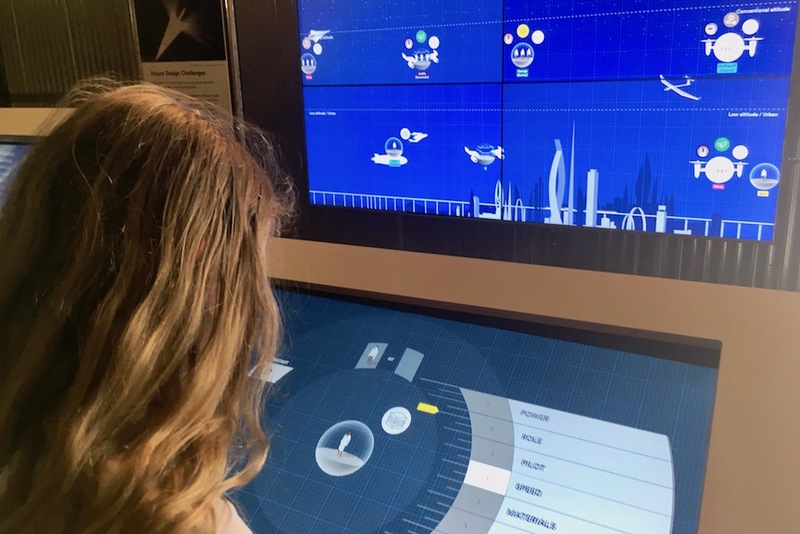 I wouldn’t recommend the Concorde tour if you’ve got little kids in tow – there’s a fair bit of sitting around and listening to the stories and history which fidgety little ones probably won’t tolerate, although it was fine for my 11-year-old enjoyed it though. You’ll need to book as numbers a limited and it’s a popular tour. It’s worth knowing that parking is plentiful, and free, at Brooklands. And the Sunbeam Cafe, which you’ll find in The Clubhouse, offers a good selection of hot and cold food, as well as teas, coffees and cakes.